Cornish Pirates will launch their defence of the British and Irish Cup at tournament newcomers Currie. The RFU Championship club lifted the inaugural trophy last month after beating Munster 23-14 on home turf at Camborne’s Recreation Ground. Next season they kick off at Malleny Park, home of Scottish Hydro Electric Premiership 1 champions Currie before hosting Leinster – a reverse of last season’s fixture at Donnybrook. Joining Currie as new British and Irish Cup arrivals are fellow Scottish side Melrose; Esher following their promotion to the RFU Championship; Worcester Warriors after their relegation from the Guinness Premiership; and Llandovery and Swansea from the Welsh Principality Premiership. There will be five rounds as last season but an additional quarter final stage has been added with the top two from each pool progressing to the last eight. 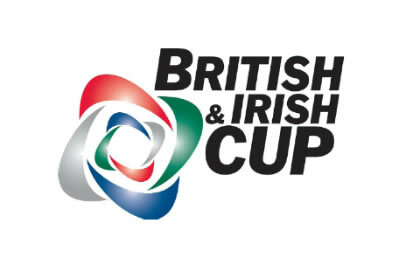 Terry Burwell, British and Irish Cup Director, said: “The inaugural British and Irish Cup was very positively received and gave players, coaches, referees and spectators a different level of competition to what they are used to. “Anyone who was at the final or saw it on Sky Sports saw the appetite for cross-border cup rugby and I am sure this tournament, just like the Heineken Cup in its early days, will go from strength to strength.